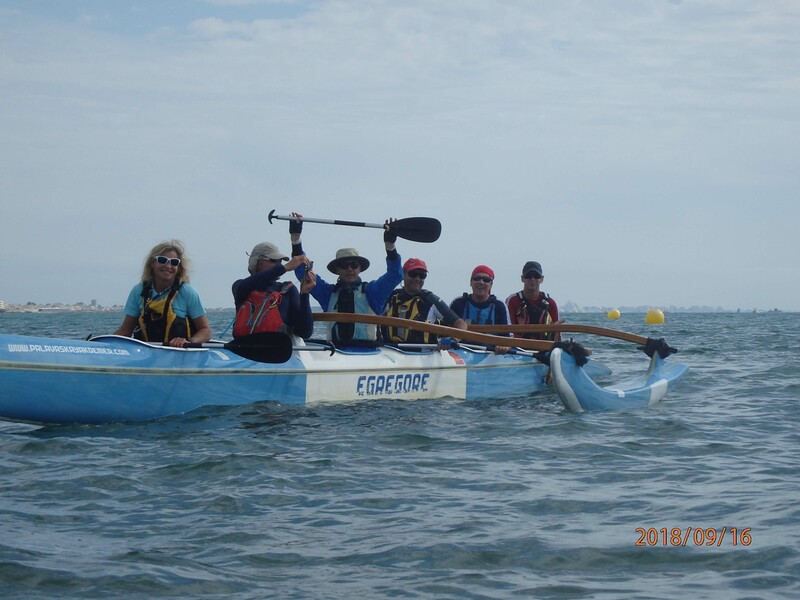 After a conversation about whether or not there were flamingos in Europe, Corinne, a CKC member based in France, organised for CKC members to join Palavas kayak club along with paddlers from Marseille for the weekend. 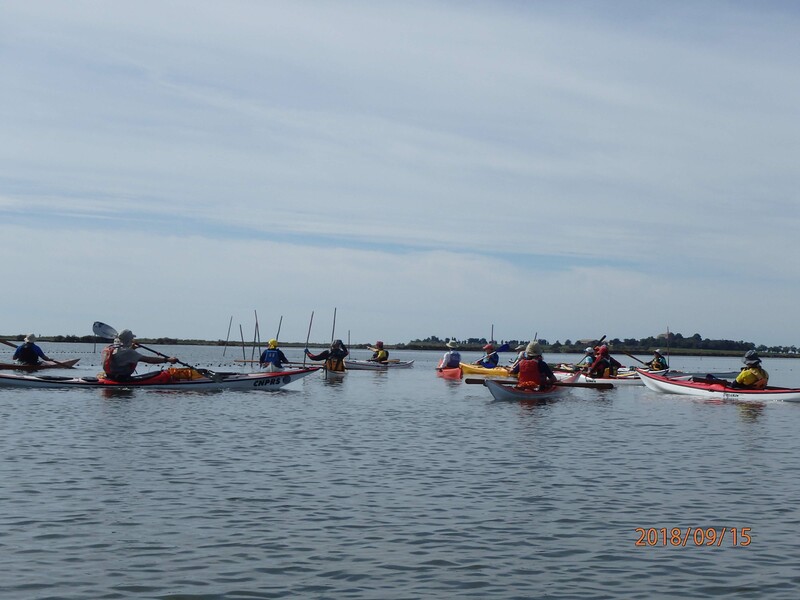 We had two fabulous days of kayaking exploring the inland water ways, including the huge saline ponds where the flamingos live, and canalised navigable channels, and the sea. 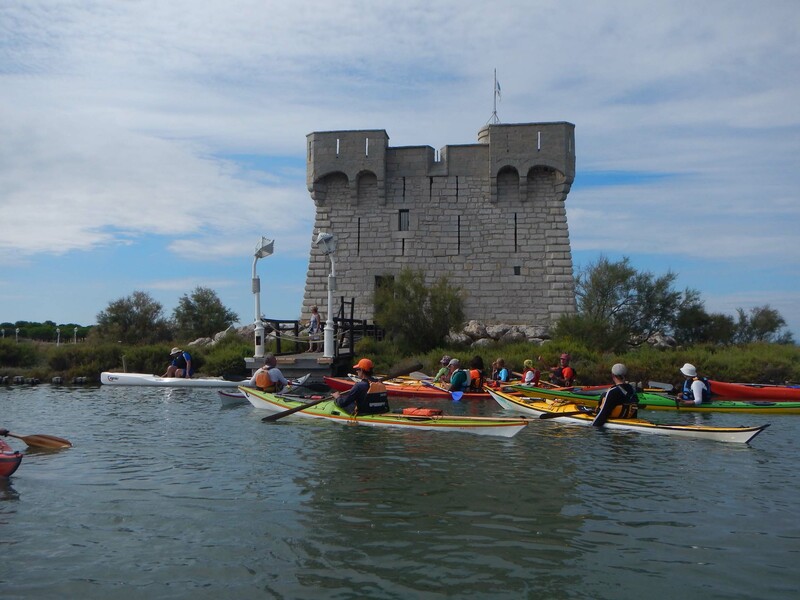 Palavas is on the south coast of France, just west of the Camargue. 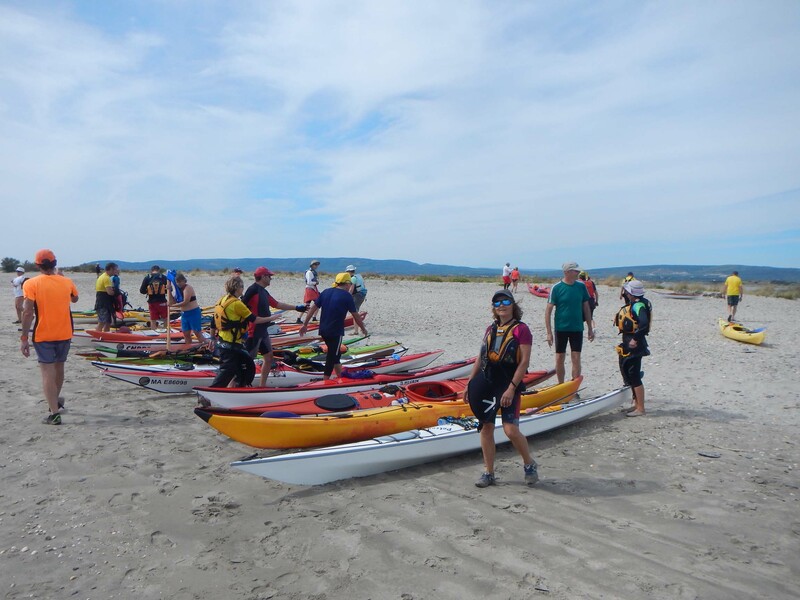 After a short portage on Saturday we reached a sandy beach for lunch. After lunch about 50% of the group did a simultaneous roll! 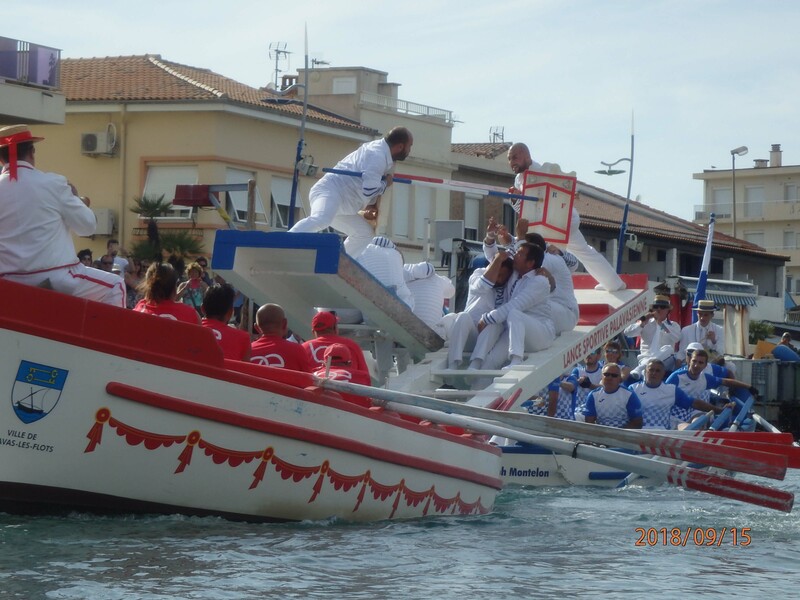 As we returned on the first day we happened to pass by a traditional boat Jousting match! 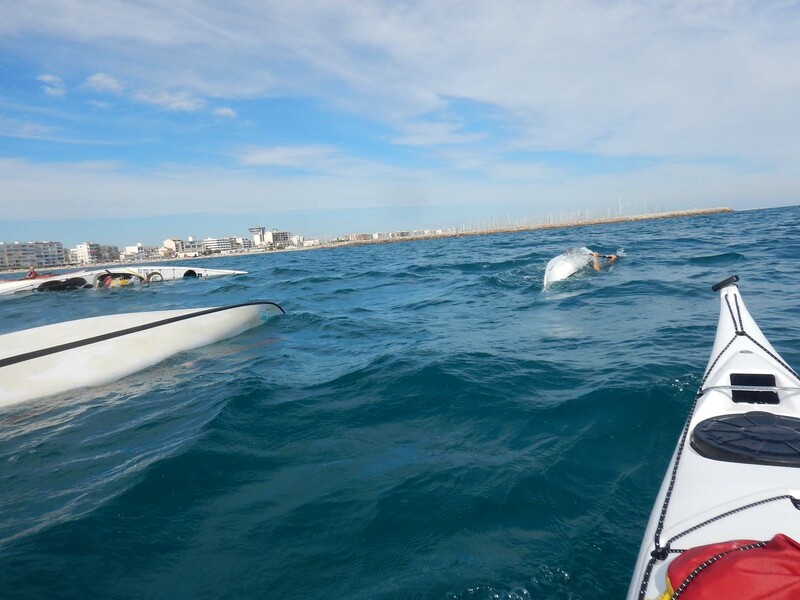 On the second day we were able to try out Palavas’ 6 person Pirouge and a surf ski. 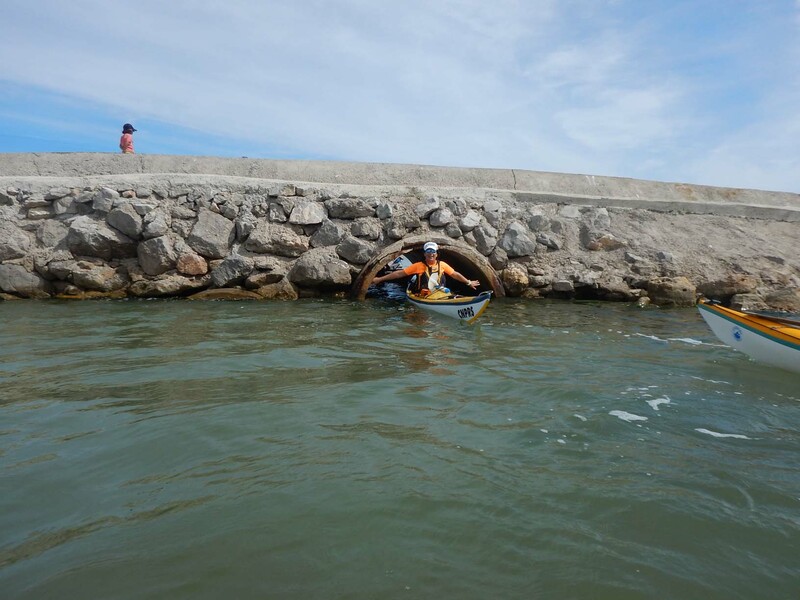 Both were great fun to try. Huge thanks are due to Fabian and others at the Palavas club for organising a wonderful weekend and welcoming us so warmly. 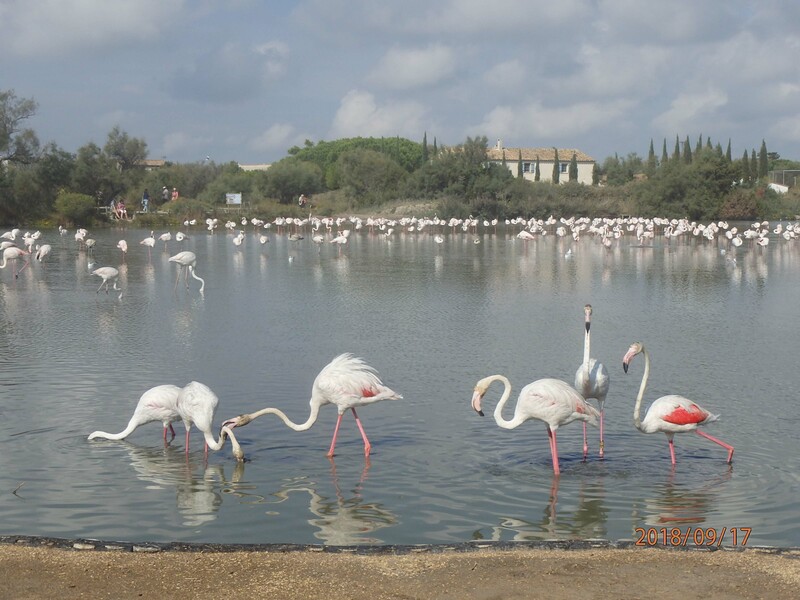 And yes – there are flamingos in Europe!